90s kids unite! 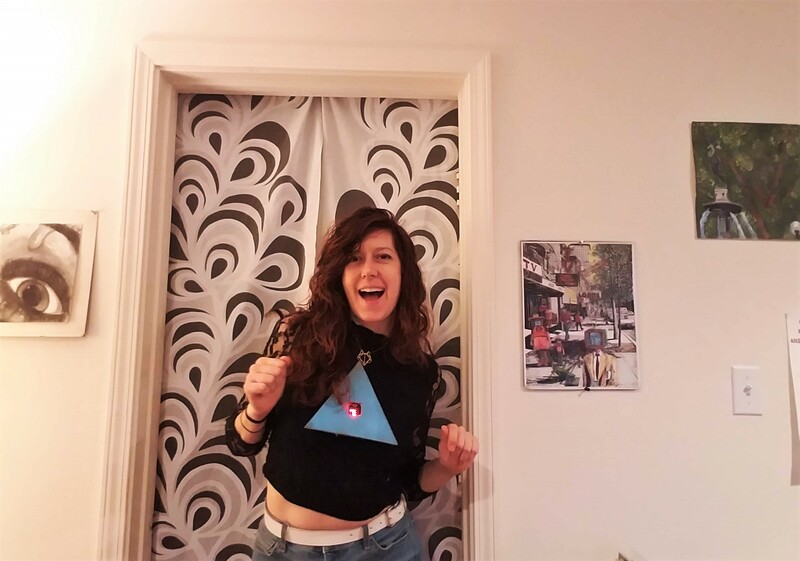 And build this super fun, easy, and interactive costume! Build Time: < 30 min. 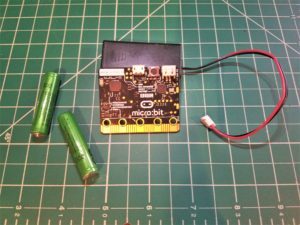 Step 1: Program the Micro:Bit! 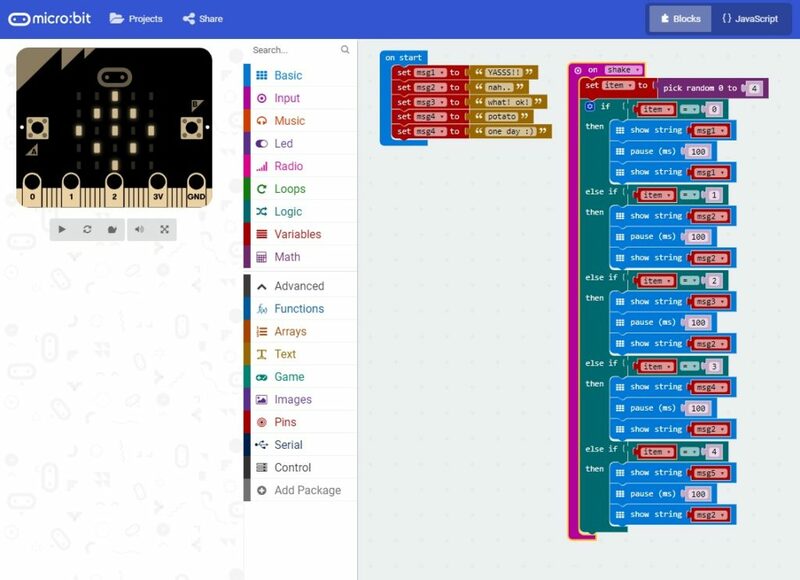 Step 1: Go to www.MakeCode.org and open a new Micro:Bit project. Step 2: Write a program to display randomly generated messages of your choosing! Go to Variables and create a unique variable for each message you want to send (e.g. msg1, msg2, …msg42, etc). Go to Inputs and drag out the On shake block. In On shake, add “set item to” from Variables, then go to the Math blocks and connect the “pick random 0 to..“. Change the random number range (i.e. the 2nd number) to reflect the total number of messages you are showing (e.g. if you have 5 messages, the random number range is 0 to 4 because there are 5 possible numbers: 0, 1, 2, 3, 4). When you’re ready, download the code, plug in your Micro:Bit, and then drag the (.hex) file onto the Micro:Bit drive. The code is loaded when the power lights are done flashing! 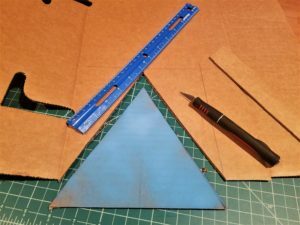 Step 1: Make a cardboard triangle & paint it blue! 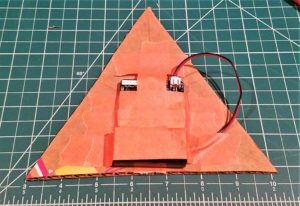 For most accurate imitation, go for an equilateral triangle (geometry for the win, woot woot!). Step 2: Cut a 1 in. x 1 in. (2.5 cm x 2.5 cm) hole in the center for Micro:Bit LEDs. 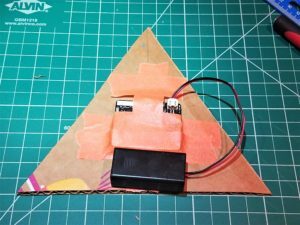 Step 3: Attach Micro:Bit on back of triangle w/ glue or tape. 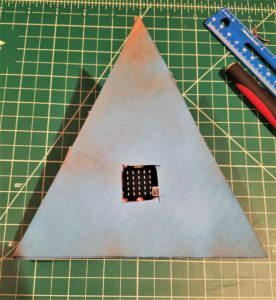 If using hot glue, avoid the battery and USB connector. 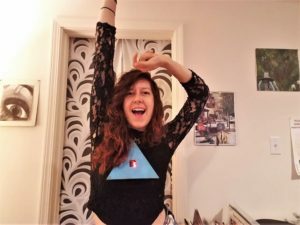 Step 4: Wear it & Share it, pretty bby! 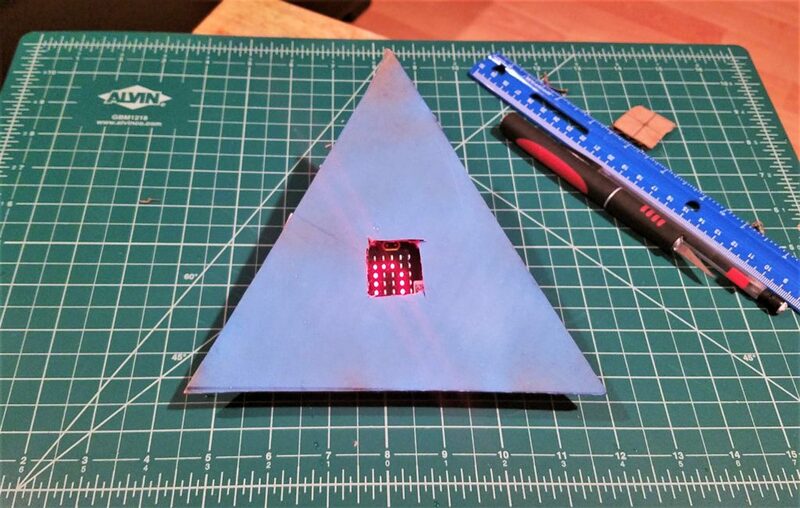 Attach the Micro:Bit (& cardboard combo) to yourself or your clothes! You can use velcro, tape, or hot glue (although probably avoid using this one on your actual skin..) Or make straps w/ string, twine, fabric, etc! Feel free to ask any questions in the comments section. If you build this or a variation, please share your creations, I’d love to see what you make! !